If you are looking for a position in a different industry or career field, your cover letter is an important factor in your likelihood of getting the job. 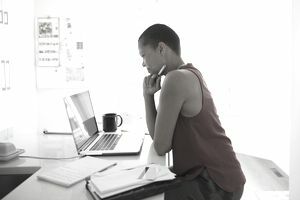 Since your resume may not contain the relevant experience that hiring managers are looking for, it's important to capitalize on your cover letter as an opportunity to demonstrate why you are a good fit despite lacking the specific employment history that may be an important factor in getting the job. A well-written and strong cover letter will convince the reader that your work experience is a strength rather than a weakness. Before you start writing, though, be sure you're clear on your goals for transitioning careers, and that you're positioned for a successful career change job search. Most importantly, focus on the transferable skills you have that you can use in the new position, rather than upon the specific skills you have that are related to your current role. Analyze the job description for the position you’re applying to, and look at the skills that the position calls for. Choose the ones that best match your own skills or experience. Then, if possible, use specific anecdotes from your work or academic history to illustrate some of these strengths in action. Other applicants may have the relevant experience, but if it is a mediocre experience that cannot be backed up by strong references or tangible achievements, you may actually be a more desirable candidate for the job than they are. In your letter, do your best to explain how you succeeded in previous roles, and connect that to a summary of how you would also add value in this new position. Make sure your references will corroborate your statements. Include your passion for the company. This is another way to stand out from qualified candidates. Employers may be more interested in someone who is especially excited about their organization and the job opportunity than they are in someone who just wants a job and doesn’t care about much beyond that. In your cover letter, make it clear that you’re familiar with the organization and enthused for the opportunity to be a part of it. Be sure to thoroughly research the company before writing your cover letter, so you can convince the employer that you understand the company and demonstrate why you want to be a part of it. You don’t necessarily have to cover all of these topics in order or in distinct paragraphs. The aim is to make sure you communicate these points throughout your letter. Read the sample cover letter below, which you can use as a framework for writing your own career change cover letter. However, be sure to edit the sample to fit your personal experiences and the job for which you are applying. This is an example of a cover letter for a career change. Download the career change cover letter template (compatible with Google Docs and Word Online) or see below for more examples. This letter is to express my special interest in discussing the Senior Customer Service Manager position posted on the XYZ Company web site. The opportunity presented in this listing is very appealing, and I believe that my experience and education will make me a competitive candidate for this role. Although I have been working primarily as an Operations Manager, in this capacity I have interfaced frequently with customers, in addition to vendors and staff. This has instilled multi-dimensional communication skills and an ability to recognize, act upon, and fulfill customer wishes and needs in order to ensure their continued, and positive, relationship with the business. In fact, in my most recent job as Operations Manager for ABC Company, I received an ‘Excellence in Customer Service’ recognition due to my ability to coordinate complex logistics in order to keep customers happy even when issues arose that were beyond the control of the organization. Again, this involved not only managing operations but also communicating directly with customers. As a result, I believe my combined ability to successfully manage operations while also effectively interfacing with customers makes me a prime candidate for this role. Provide exceptional contributions to customer service for all customers. You will find me to be well-spoken, energetic, confident, and personable, the type of person on whom your customers will rely. I also have a wide breadth of experience of the type that will allow you the versatility to place me in a number of contexts with confidence that the level of excellence you expect will be met. Please see my resume for additional information on my experience. I hope that you'll find my experience and interests intriguing enough to warrant a face-to-face meeting, as I am confident that I could provide value to you and your customers as a member of your team. I am very excited about this opportunity to work for XYZ Company. I connect with your mission to “deliver the ‘five star’ factor” to both your staff and your customers. This tenet is reflected in my own professional and personal values, and I believe this alignment strongly supports my candidacy for this role. I can be reached anytime via my cell phone, 555-555-5555. Thank you for your time and consideration. I look forward to speaking with you about this employment opportunity. If you're sending your cover letter via email, list your name and the job title in the subject line of the email message. Include your contact information in your email signature, but don't list the employer contact information. Simply start your email message with the salutation. When you're seeking a career change, it's important to refocus your resume to reflect your new goals. That way, your resume and cover letter will both show that you're well qualified for a change in roles. Here are six tips for writing a powerful career change resume that will help you get started. Be prepared, as well, to discuss why you're transitioning, and the skills you will bring to prospective employers during job interviews. It's important to have a comprehensive and professional pitch that will impress the employer and convince them that you're a strong candidate for the job.